Dear Readers, we hope that your preparation for IBPS Clerk V mains exam is going good. 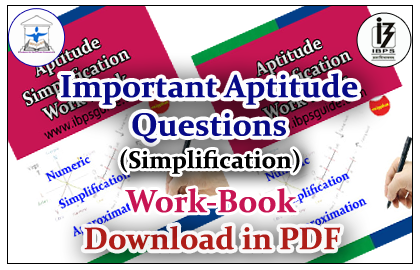 For your practice we have provided a“Work Book” consist of 50 Aptitude Questions on Simplification with detailed solutions. Practice these questions to Gear Up your Preparation.